New York & Company is a leading specialty manufacturer and retailer of women's fashion apparel and accessories providing women with modern, wear-to-work solutions that are multi-functional at affordable prices. 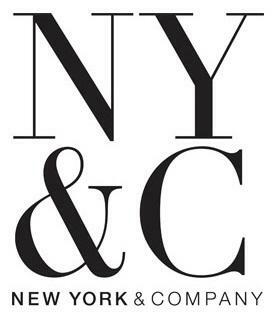 New York & Company's proprietary branded merchandise is sold exclusively through its national network of over 500 New York & Company retail stores, outlet stores, and online at nyandcompany.com. Our website offers thousands of products spanning many categories such as dresses, tops, pants, jeans, active wear, shoes, accessories, and more. We even offer petite, tall and plus sizing. New collections are added to our site weekly, and the most up-to-date pieces can be found in our “new arrivals” section. Ongoing customer promotions include $25 off your first order with email sign-up and free economy shipping on orders over $50.